As in years past, WKA will honor the Champions and top-five qualified finishers of the WKA Vega Tires National Road Racing Series at the early spring event at Roebling Road, Saturday March 9, 2019, immediately following the day’s races. With the assistance of hosts Southern Kart Club, tickets will be available at the event, Friday, March 8. Tickets are $15 and must be purchased by the end of the day on Friday, March 8th. A ticket will include; 1/2 a roasted chicken, two sides, dessert and drinks. The location of the awards ceremony will be the Roebling Road Pavillion. Tickets will be available Friday at Roebling Road for the 2018 Champions celebration. 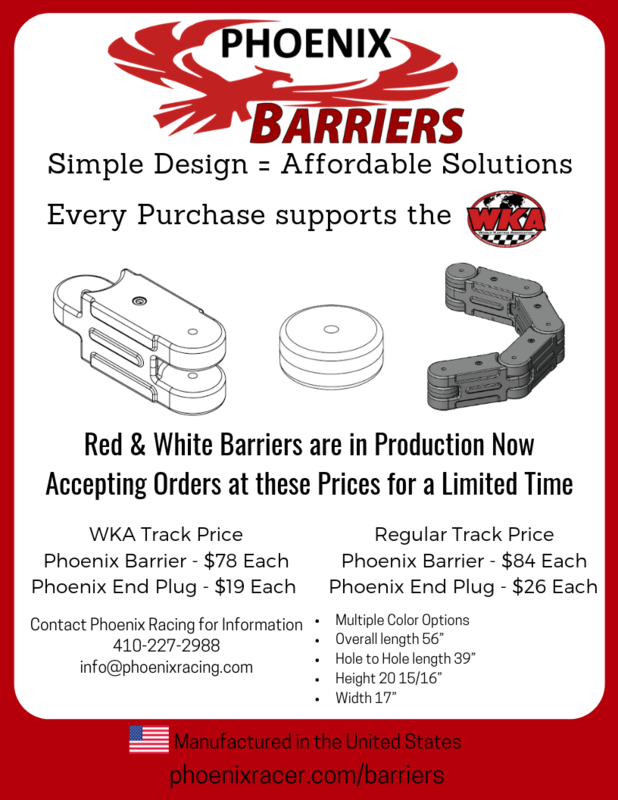 We are pleased to announce that Phoenix Barriers is offering a special promotional price especially for any WKA track. For more information, see the flyer below or contact them directly at info@phoenixracing.com or 410-227-2988. Wooster, Ohio- February 6, 2019: Full service marketing and apparel company, Expert T’s, comes on board with class sponsorship for World Karting Association Road Race Series in 2019. Currently with 3 locations in Northeast Ohio, Expert T’s is branching out their support to grassroots motorsports and beyond. Eager to get started with this elite series in karting, Owners, Joe and Jodi Kennedy want to help increase the sports exposure via their companies involvement while providing quality products and services to drivers, race teams, sponsors, and fans. 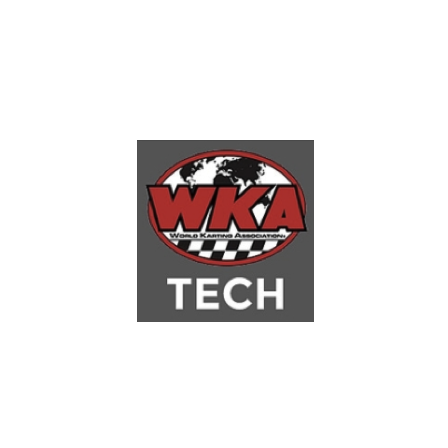 Expert T’s is the proud sponsor for WKA’s VEGA National Road Racing Series, 100cc Controlled Final 1 starting at Roebling Road in Savannah, Ga. March 8-10, 2019. 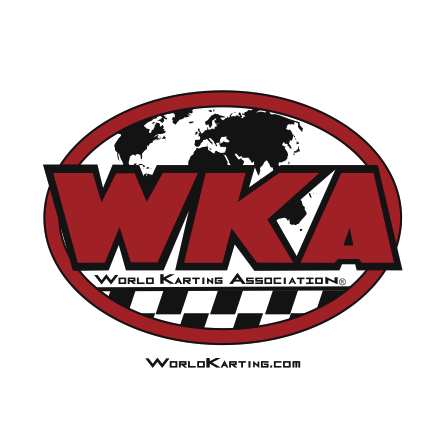 As part of their involvement, a special “WINNER” T-shirt will be given to the winner of this class for each of the remaining races on the 2019 World Karting Association Road Race Series schedule. Any team looking for a new logo, team shirts, hats, hoodies, koozies, promotional items, decals or would like a consultation on what services and products are offered for their budget, should consider Expert T’s! The Kennedy’s are also auto enthusiasts with a high performance soul. Though their involvement is just starting, soon you will see their company at the track soon. Be sure to look for their vending trailer or booth at the races this season. About Expert T’s: 3 locations to serve customer needs. Wooster, Ohio. Wadsworth, Ohio and Orrville, Ohio. Expert T’s offers an interactive online design studio customers can use to design their own apparel or they can contact Expert T’s and have one of their inhouse graphic artists assist with their design and order needs. All processes are done in house: embroidery, silk screen, direct to garment, sublimation, decals and more. T-shirts, hats, sweat shirts, hoodies, jackets, chairs, banners, decals, PopUp shelters...you name it they have it or can get it! 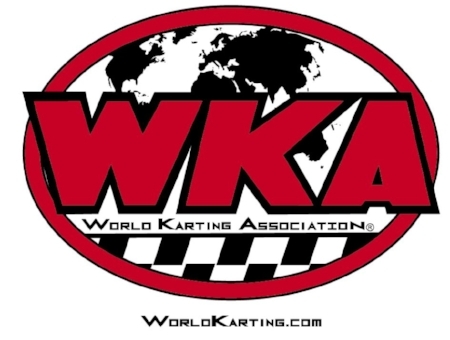 Partnering once again with the Southern Kart Club, WKA will make its next stop of the Vega Tires National Road Racing Series at Roebling Road Raceway in Bloomingdale, Georgia. Fresh off a hugely successful race at the high banks of Daytona International Speedway, Road Racers will transition to the flatter 2-mile road course of Roebling, March 8-10, where Championship battles will be sure to heat up. CONCORD, NC - Today, December 12th, is the last day to register for the biggest karting event of the year---Daytona Kartweek. Registration officially closes at 12pm Midnight (EST) to allow the WKA office time to prepare for the event. 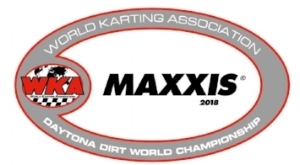 Also, some Daytona hotels have extended their WKA offers until December 17th, so if you haven't booked a room yet, here is your last chance to do so at a reduced rate. Click the hotel booking link under your race series to be taken to the booking platform. Thank you, Happy Holidays and safe travels! 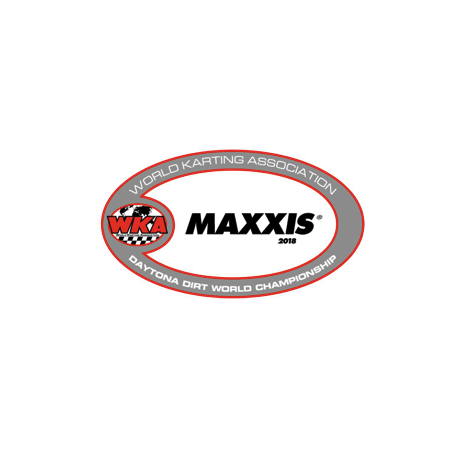 For the Maxxis Tires Dirt Championships at Daytona, in addition to a full-schedule of classes the WKA Dirt Committee has decided to bring back long-time partners of the Unlimited All Stars, (UAS), in favor of the Hobby classes. In addition to Daytona, the Vega Tires Road Race Series has secured dates at Roebling Road, Topeka, and a new venue this year at Gateway Motorsports Park, outside St. Louis. Heavy negotiations are being finalized now for additional tracks, with the full 2019 Road Race Calendar to be announced in the coming days. The Bridgestone Manufacturers Cup will see the most changes this year, as the series welcomes the IAME KA 100 Junior and Briggs 206 Cadet. As with previous years, the Margay Ignite program will be back at Daytona, along with Margay’s Title Sponsorship of the Daytona Event. 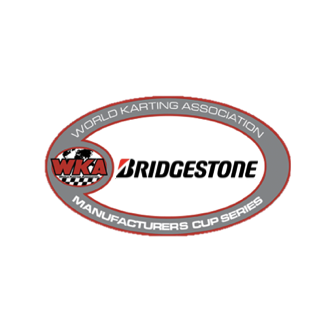 To register for the Daytona Kartweek Bridgestone Manufacturer's Cup event, click the button below to be taken to the Manufacturer's Cup Series page on our website. 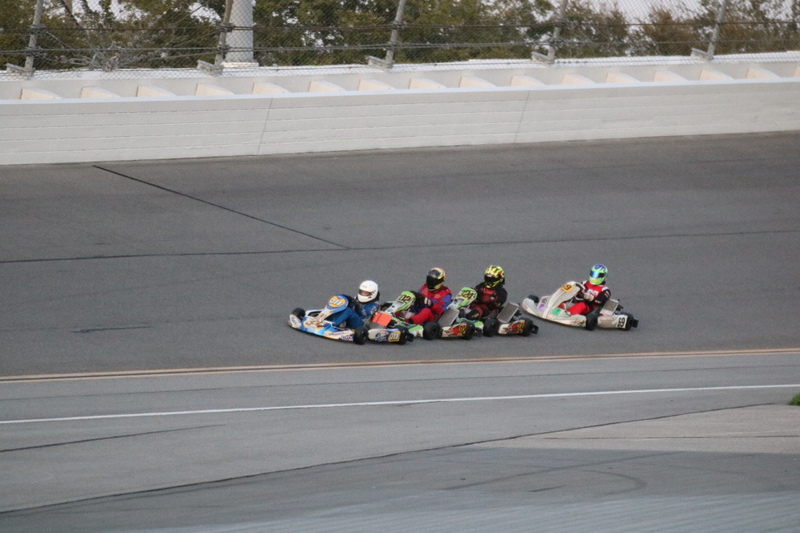 To register for the Daytona Kartweek Vega Tires Road Race Series event, click the button below to be taken to the Road Race Series page on our website. To register for the Daytona Dirt World Championships event, click the button below to be taken to the Dirt World Championship page on our website. CONCORD, NC - To conclude another great year of Road Racing, WKA has posted the Entry Forms for the 2018 WKA Vega Tires Road Racing Grand Nationals, slated for NCM Motorsports Park, Bowling Green, Kentucky, November 9-11. In partnership with KART for the second event this year, the Grand National Event promises to be one of the highlights of the season, where Grand National Champions will be crowned. CONCORD, NC - Heartland Park was the 6th stop on the Vega Road Race series but this time WKA’s Robby Harper combined forces with KART’s Kelly Read and Jim Edgington to bring the Summer Sizzler to Topeka Kansas. With these two-powerhouse karting organizations joining forces there was bound to be some good ole fashion racing to the checkered flag. This is just the second time that these two organizations have come together, the first being three years ago at NCM Motorsports Park in Bowling Green, Kentucky which proved to be very successful and like the first time this past weekend again did not disappoint . Many WKA racers had never been to Heartland Park so practice day was used to familiarize themselves with all the turns and fine tuning their karts. Of course, this track is old news for most KART members, so it was like saying hello to an old friend you hadn’t seen in quite a while. With the combined effort of both karting groups, the numbers for the Sprint 125cc Shifter class did not disappoint as 15 racers came out to battle for the checkered flag. Straight out of the gate Jared Langenfield led the 1st lap with Derek Proctor a close 2nd while Melvin Nelsen and Chase Pflughaupt battled for 3rd and 4th. Unfortunately, around the 10-minute mark Jared Langenfield was unable to finish which Derek Proctor took full advantage of. With his kart settling in and running well he was able to take the lead and keep it all the way to the winner’s circle with a full lap lead on 2nd place, Jeff Mills. Melvin Nelsen, Tommy Plahitko and Jonathan Fairfield rounded out the top 5. Derek Proctor also took home the 1st placed finish on Sunday in the Sprint 125cc Shifter class with another impressive 1 lap lead over 2nd place finisher Tommy Plahitko. The Sprint B&S LO206 class also brought out 14 karters to the track all wanting to be the first to see the checkered flag waving. Coming down the straight away on the 1st lap, Lindsey Simon and Chase Pflughaupt were paired up leading the charge while Cory Caswell, Buck Caswell and Richard Hoff were coming up strong in the 2nd pack. These 5 continued to play cat and mouse for most of the race with Lindsey Simon leading the majority of the time. At one point in the race the 2nd pack consisting of the Caswell’s and Richard Hoff broke the draft and made an impressive pass on the back straight-away over Lindsey Simon and Chase Pfughaupt. This lead was short lived as Chase Pflughaupt took the checkered flag with only a 0.225 lead over Lindsey Simon, Luke Kannady, Jon Fairfield, and Brad Roberts brought up the rear with the 3rd, 4th, and 5th place finishes. Sunday’s race in the LO206 class also brought lots of excitement to the track. Lindsey Simon and Chase Pflughaupt were both out front at the beginning of the race but unfortunately Chase got caught up in some traffic between two other karts and lost quite a bit of ground. He eventually chased down the lead pack, which consisted of Lindsey Simon, Cory Caswell and Buck Caswell. Lindsey and Chase tried to break away but the Caswell’s caught back up to them and that is where they stayed until some lap traffic caused the Caswell’s to fall back. From there Chase Pflughaupt stayed in the draft of Lindsey Simon until the finally straight away where he slings shot around her the take the win by less than second between them. Even though the Sprint Tag Sr class only had 6 drivers Jamey Brown was a man on a mission. He and Nick Martin jumped out to an early lead followed by Trenton Chrisco and Devin Chrisco. Jamey Brown was able to pull away and led the entire race. Even though Brown and Martin were in different classes they worked together until the end. Nick tried to draft past Jamey at the end but with his Fisher powered X30 he was able to hold Nick off at the line. Trenton Chrisco, Seth Urton, Devin Chrisco and John Brown rounded out the top 5. Sunday’s Sprint TaG Sr class also saw some action out on the track. Jamey Brown was able to shoot off the grid and instantly had a 6 second lead early in the race. Once again, he and Nick Brown were able to work together to keep ahead of the rest of the pack even though they were in 2 different classes. Jamey Brown eventually broke away from Nick Martin but was still able to keep the 6 second lead over 2nd place Trenton Chrisco. With 3 laps to go Jamey saw a little off-road action as he tried to avoid a lap kart in turn 10. As he re-entered the track he immediately noticed that he had broken the brake rod. 2nd and 3rd were able to pass him but he had just enough time to run them down and get by them for the win. Thank goodness you don’t need a lot of brakes at Heartland Park says Jamey Brown! I’ve decided to add a driver highlight section to the race reports so that we can all learn a little more about each other. This race highlights Derek Proctor of Tulsa, Oklahoma. Derek has raced for 8 years starting in kid karts when he was 5 years old with the help of his grandpa, Jim Stroud who is well known in the karting world for building some mean engines. He then decided to stop racing to concentrate on baseball. Derek returned to racing his freshman year of high school, running the Yamaha 4 hole can just at the local Tulsa Kart Club races. He eventually moved into the TAG class running for Rodney Berryhill and Champion racing out of Norman, Oklahoma. He also ran the Texas Pro Kart Challenge for 2 1/2 years and competed in the SKUSA Supernationals in 2015. Derek just recently made the switch to the Praga Kart thanks to Trei Smith and Tanda Racing, his full-time promoter and sponsor. He is currently competing in the 125cc shifter class running both modified and Stock Honda with the help of the Brian Fisher motors, which delivers tremendous horsepower and speed. Derek says that he wouldn't be where he is today without the support of his mom, Janie Proctor, his grandpa, Jim Stroud and stepdad Drew Hockenson. He is excited to keep moving forward with Trei Smith and Praga and looks to return to many KART/WKA events while competing full time in the Rok Cup in 2019! On behalf of the World Karting Association, we would like to thank all who participated in the 6th race of the Vega Road Race Series, the drivers, families, sponsors, crew members, officials, and so many other people that make this series so special! We would also like to thank the KART organization for all the hard work they put into this event. The last stop in the Road Race Series is NCM Motorsports Park in Bowling Green, KY. Hope to see you all there! CONCORD, NC - The VEGA Tires Road Racing Series Championship points have been updated and are available for viewing on the WKA website. To view them now, click the button below. CONCORD, NC- The beginning of Summer means the next stop of WKA’s Vega Tires Road Race program. Hosted by the Woodbridge Kart Club, the series stops at the newly paved Summit Point Motorsports Park, June 1st-3rd. Championship battles are heating up in all classes, which will make the new racing surface of Summit Point the perfect venue to settle the scores.